A fast and flavorful side dish for a spring meal. Add shrimp and serve over rice for a complete meal! Place a heavy bottom skillet on a burner and turn to high heat. Add the coconut oil and red curry paste to the pan and cook for 1 minute. 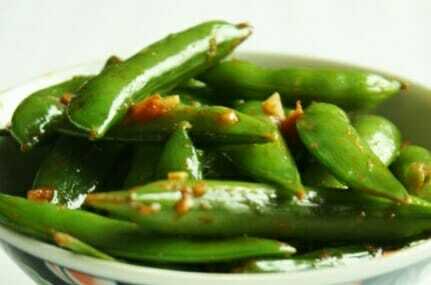 Add snow peas and cook for 2 to 3 minutes, stirring frequently. Add garlic and cook for an additional minute. Remove from heat and stir in the lime zest and lime juice. Salt to taste before serving.